The chaps from Master of Malt, the superb online whisky shop, have come with another great crazy idea!. Yeah, exactly like that. Sounds crazy?! You will love this. You will get one sample of 3cl of each of the whiskies plus one extra sample of both the malt base and the single brain base. Additionally you will get two pipette, one of 3ml and another of 1ml, two measuring cylinders of 10ml and 25ml and a conical flask of 100ml. 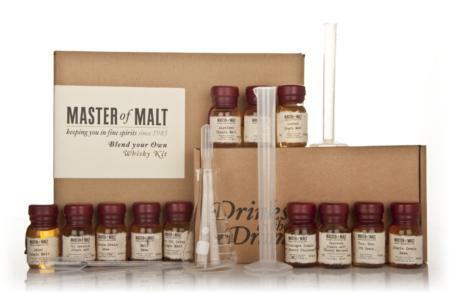 Obviously you will find also in this pack a Master of Malt tasting glass and a detailed letter introducing you in the arcane art of blending whisky. The really cool part is that once you are done you can order a case of six bottles of your own blended whisky by introducing the composition of your whisky at Blend Your own whisky page at Master of Malt. Keep in mind that each whisky has a different price tag, so blend it keeping in mind taste/aromas and the price tag, just like a real master blender. 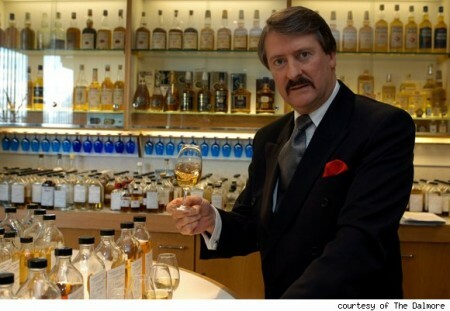 Once you are done introducing your very secret recipe, you can name your whisky and order a case of it. I think this is the coolest chritsmas present I have ever seen. 1) You have to order a full case of six bottles that can be a big investment. 2) You can’t change the default label nor bottle it at cask strength or a higher alcohol volume than 40%. Fix the two points chaps and you have here a great tool.